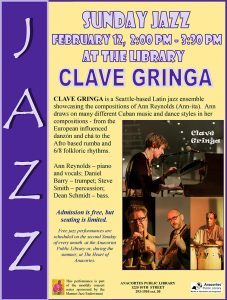 Clave Gringa is a Seattle-based Latin jazz ensemble showcasing the compositions of Ann Reynolds (Ann-ita). Ann draws on many different Cuban music and dance styles in her compositions – from the European influenced danzón and chá to the Afro based rumba and 6/8 folkloric rhythms. 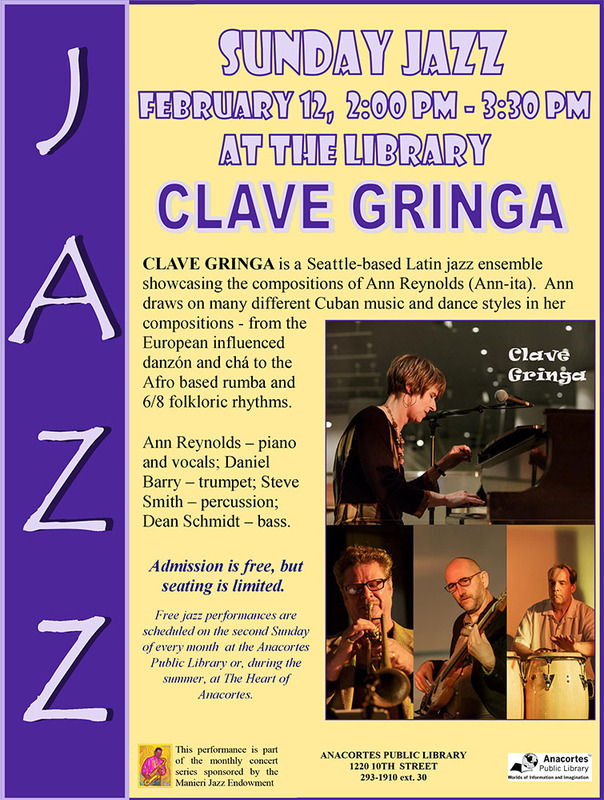 Ann Reynolds – piano and vocals; Daniel Barry – trumpet; Steve Smith – percussion; Dean Schmidt – bass.